The Douglas Labs Multi-Probiotic contains the specific strand of Lactobacillus that are proven to help calm and clear acne. 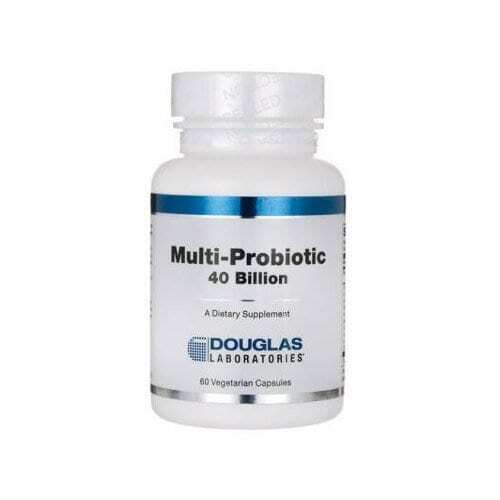 The Multi-Probiotic contains 16 potent strains of Lactobacillus, Bifidobacterium and Streptococcus cultures, including the clinically researched Bifidobacterium lactis HN019 that supports enhanced gastrointestinal and immune function. These probiotics are acid and bile resistant and undergo a patented cryoprotectant stabilization process for shelf stability. As a dietary supplement, adults take 2 capsules daily or as directed by a healthcare professional. May gradually increase to 4 daily. * These statements have not been evaluated by the Food and Drug Administration. This product is not intended to diagnose, treat, cure, or prevent any disease.